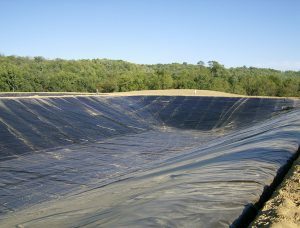 Our Geosynthetic liners are suitable for variety of applications like landfills, new cells and ash piles besides many others. 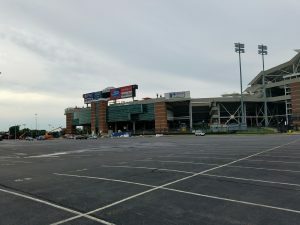 We have fabricated panels for projects as diverse as under a stadium parking lot, airfield runway, and transit parks to name a few. On several occasions, we made panels for a large dairy operation with over 9,000 head. AmCon is a certified installer of AgruAmerica Sure Grip, one of the few certified installers in the country. 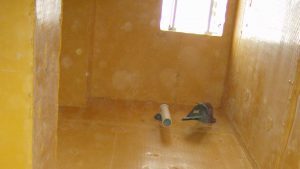 Our technicians are trained in installation of the liner to your forms, welding of the liner, and testing. 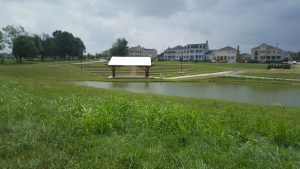 AmCon has completed Sure Grip projects for water districts in Kentucky and Alabama and have successfully completed sanitary sewer projects in both these states. AmCon’s industrial clients vary greatly, ranging from automotive to the Army Corp of Engineers on a repair of a dam. 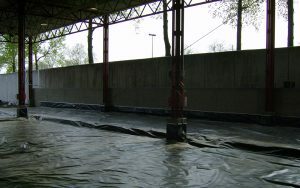 The scope of our work also encompasses from storm water reservoir for fire suppression systems, to secondary containment under the slab. We have also completed numerous projects in rail yards to contain diesel fuel and other contaminants. 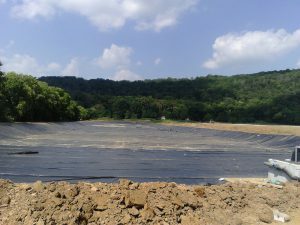 Our containment work protects the environment from the contaminants in coal ash. Since the majority of the world’s power stations are fueled by coal, the liner must be installed by a qualified installer such as AmCon Environmental to protect surrounding ground water and soil. 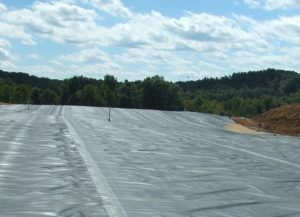 AmCon has been the subcontractor to install liner and geosynthetic materials in capping landfills. In todays’ environmentally conscience society, the measures taken to protect the surrounding areas from the potential contamination of ground water and soil are of upmost importance to AmCon. AmCon fabricates and installs baffle curtains in new as well as retrofitting existing wet wells. We also custom make baffle curtains for resale for other applications. 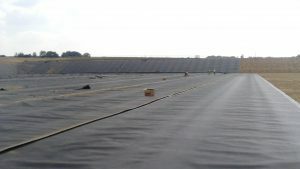 We have installed liners in the lagoons at WWTP, ranging from small to in excess of seven acres. 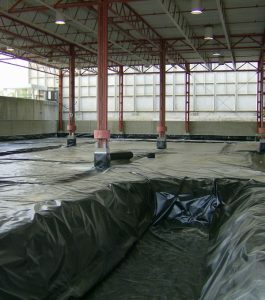 Again, with the importance on protecting the ground water and soil, the liner must be professionally installed and tested to ensure a leak-proof system. Call AmCon today for your next project. 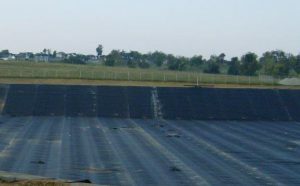 We have successfully installed high quality liners for variety of decorative ponds and fish hatcheries around the country, some examples are showcased here.